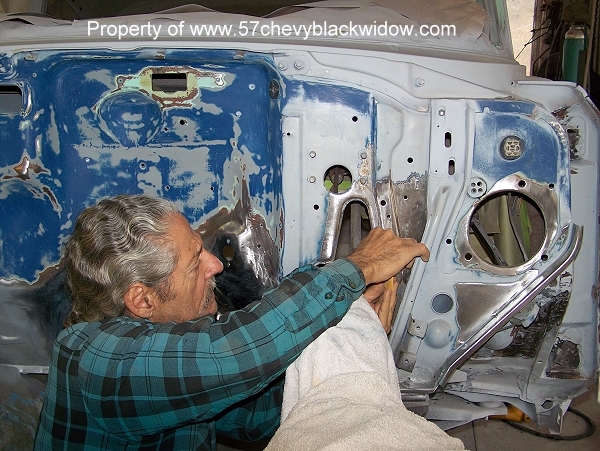 Here you will see "Old Guy Scott" getting the firewall ready for paint. 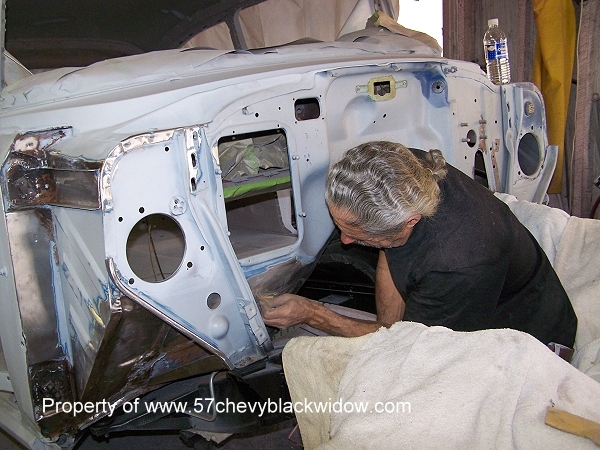 First "Old Guy Scott" removes any surface rust, then metal conditioners are used to prevent future problems. Figure #235 shows him feathering out nicks and scratches. 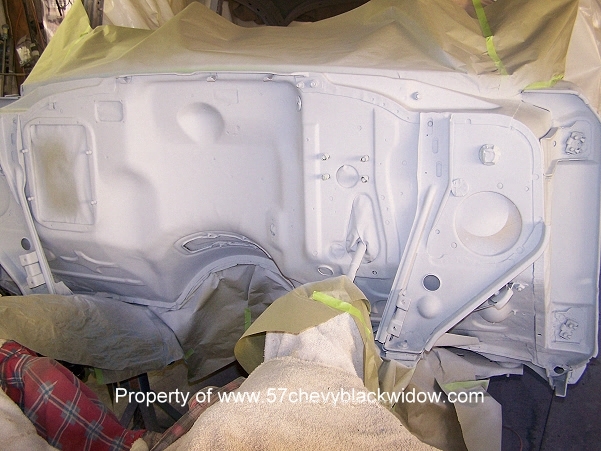 Figure #236 shows the firewall in polyester primer and ready for final sanding. Figure #237 is the end result in DuPont Centari with overall hardener added. 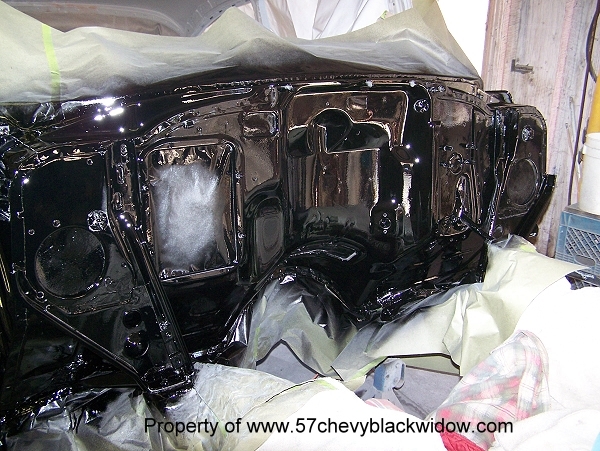 The firewall will now be easy to clean, and stay glossy.